No two people are completely alike - not in the activities they prefer, not in music taste, and not in dining preferences. Different people like different beverages, and any great restaurant or bar understands the need to provide a variety of options to suit many palates. But what about a vibrant community like a senior living facility? Many kitchen managers or nutrition specialists at senior living facilities may think the rules are different from those at a restaurant – but they aren’t. Institutions like these need to meet their residents’ varied beverage cravings, just like any restaurant or food and beverage provider would. 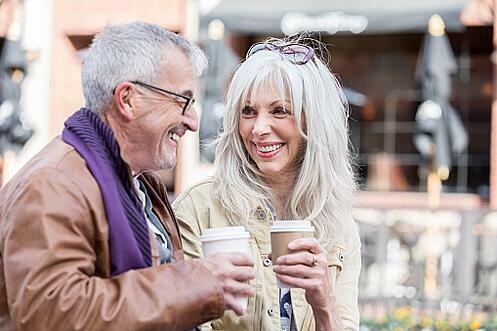 Baby boomers remain the largest segment of the U.S. population. So it’s no wonder that senior living facilities are a booming business. They’re a perfect solution for families where an aging senior is still healthy and independent but needs some assistance with everyday tasks. Caretakers are seeing more Boomers entering senior living facilities, and as the population continues to grow older, that rate will only accelerate. Recent statistics say one million Americans live in an assisted living facility, and analysts expect that number to double between now and 2030. Estimates say the senior living market will crest $436 billion this year, as more caretakers get into the business. In the process, entrepreneurs are learning about seniors’ various needs – including the need for great food and beverages. Imagine living in a gorgeous senior living community with plenty to do, great company, and lots of amenities. There’s just one amenity missing: great food and drink. Your options are limited and bland. You miss the options and freedom you had in a previous living setting. We bet you wouldn’t stay, and we wouldn’t blame you. Great beverage and food options aren’t an extra: they’re vital to building a fantastic facility. If a senior living facility has bad or limited options, they’ll have a hard time attracting and retaining residents. Seniors crave the same dining options that younger people do. They want sparkling water, coffee, tea, juices, and sodas. Some of them may have dietary limitations, which are important to consider, but it’s impossible to generalize about what all or even most seniors drink. And in all cases, the facility’s beverages should be of top quality. Unfortunately, many facilities have trouble meeting seniors’ beverage needs without breaking the bank. Many sacrifice quality or variety because they think it’s too expensive. Alternately, they may choose to partner with a provider whose price point is right, but who’s too large to respond quickly to their needs. Many senior living facilities are discovering that Bernick’s is the perfect partner for their beverage needs. Bernick’s hits a sweet spot for many communities, due to its unique size and focus on its customers. In a business like food service where versatility matters, beverage suppliers have to be small enough to respond quickly to facilities’ changing inventory demands. But they have to be large enough to carry a wide variety of quality beverages at a price point facilities can afford. Bernick’s meets both metrics and goes a step beyond with our excellent customer service and friendly relationships with the senior living facilities, bars, and restaurants we supply. The quality and variety of a facility’s food and beverages are one of the first things prospective residents notice, and it’s one of the keys to retaining residents. The senior market is growing, and seniors are just as eager for diverse, high-quality dining options as other demographics are. By partnering with Bernick’s, senior living facilities will cultivate a relationship that’ll keep their residents happy for years to come.